The Office of the Controller publishes infographics on issues of interest and importance to the community based on City Survey data. Infographics are released periodically, so check back regularly for updates. 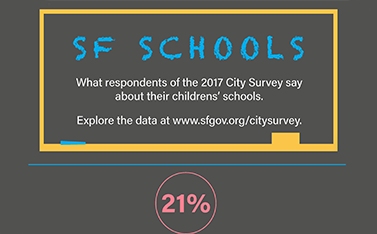 Please email citysurvey@sfgov.org with questions or comments. 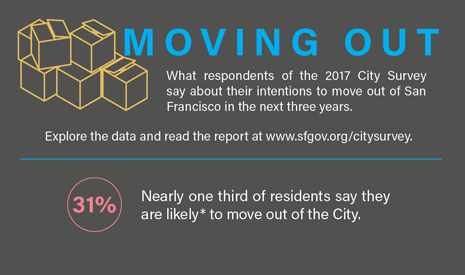 Who is moving out of San Francisco? How do parents rate city schools?